Looking for Bev's birthday party? Link up here. It's last call for this month's One-Layer Simplicity Challenge, where I'm hosting "Hip to be Square". The deadline is midnight on Wednesday, September 24. 2) Add grey to any colour combination and it will look very 'in'. That grey really does change it up doesn't it? Both versions are cool though! Love how you created the frame...and your tips are awesome! Cool frame and great card - love the colors! Wowzers! It's amazing how the grey "anchors" the design! 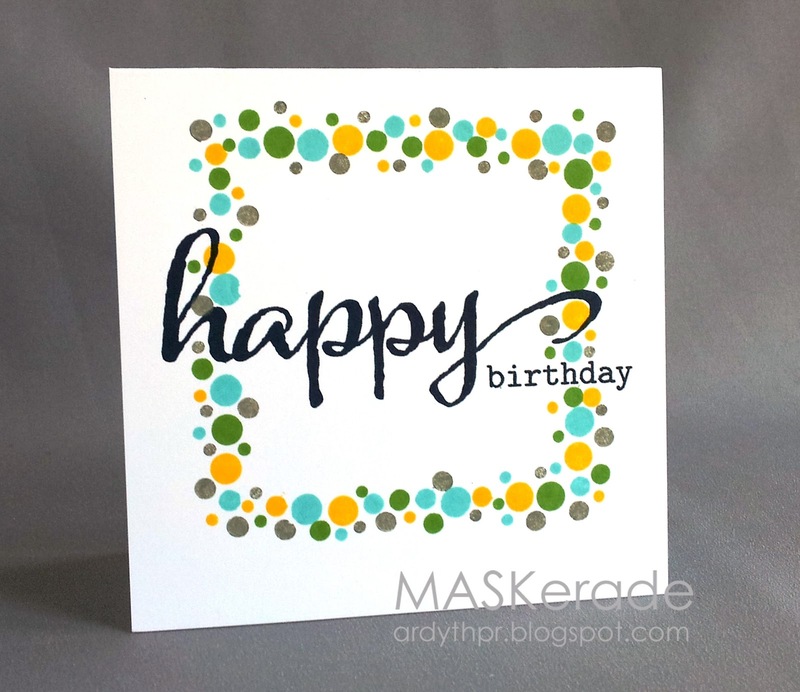 The darker color seems to give the PERFECTLY stamped border a bit of strength! GREAT CALL! Oh wow! 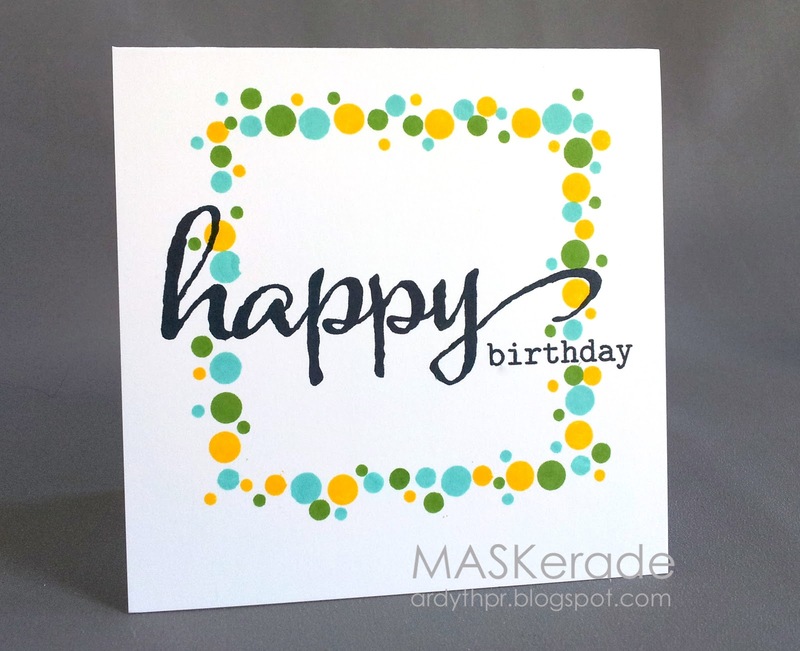 Love the creative way of making a square frame with tiny circles of various sizes. It adds a fun element to the card. And you are so right about adding the greys. Stunning work. This is absolutely perfectly done, and you are right that the grey makes a difference. I am going to remember that since I have about 4 shades of grey ink. I love it! What a fabulous card, from the colors and your as always amazing design. I would've never thought to add gray! Amazing Ardyth! Fabulous design and colors! Most definitely a hip card and I agree: the grey adds to the impact. Wonderfully creative! What a beautiful card!! I would love to receive a card like this for my birthday! Whoever the recipient ends up being, I know they'll love this card!